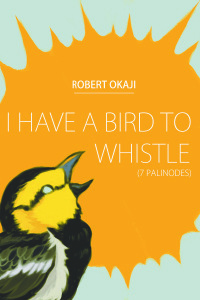 Give your beloved–or yourself!–a truly memorable #Valentine’s Day present: #poetry from Robert Okaji’s newest chapbook, I Have a Bird to Whistle. It’s available now on pre-order in the U.S. from the publisher, Luminous Press (at Gumroad here: https://gumroad.com/l/KNeFt), and directly from Mr. Okaji if you’re international. Get one before its official release day, Feb. 25th, 2019, when it might fly away forever on the wings of swift sales/sails! Luminous Press will be releasing my chapbook I Have a Bird to Whistle: 7 Palinodeslater this month. I’ll post links when available. Many thanks to editors Iskandar Haggarty and Julia Ortiz for publishing this collection. Hi Leigh, I hope you’re well! Hey, Andrea. Yes, we’re well…and I’m enjoying your posts, though I’m not often able to comment the last 2-3 or so. Your writing is so sublime, I’d feel abashed to write a simplistic comment on it (no umbrage meant to those who have time for brevity!). Thanks Leigh, glad to hear you’re well. Thanks for the heads up, Leigh. I’m a fan! Thanks for reblogging this, Leigh. I appreciate your support! Very happy to help, Bob, even in a teensy-tiny way! I’ve learned that every bit helps, Leigh! Gifted this to someone last week!